February is weird because it is the second month of the year, the first month of a new semester, and the second-to-last month of winter; the month that despite it’s only having 28 days somehow seems to drag on and on in cold ambiguity. Luckily, we’ve selected a bunch of fantastic books to engage your consciousness so that before you know it, spring will be just over the horizon! Remember to help yourselves to any of the books on this list, which as always come from a variety of genres and reading levels. This book is an anthology compiled by two great authors. 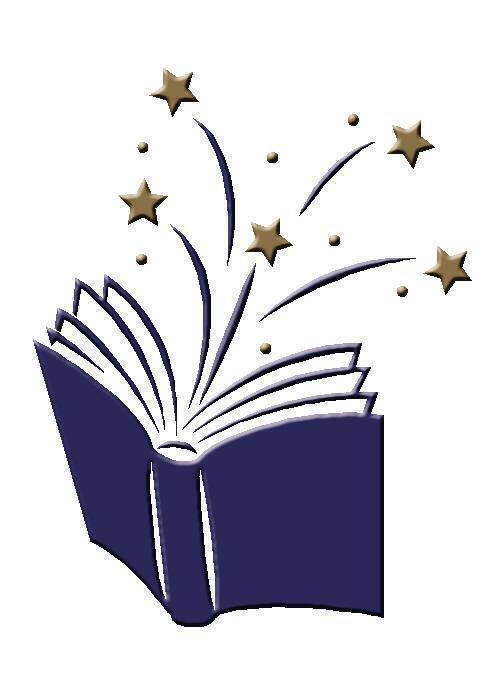 It is a collection of fantastical tales of young people showing strength. If you feel yourself in need of some inspiration to get you through the last part of winter, this book will give you the relief your adventurous heart is yearning for. This is hilarious and heartfelt romantic comedy is sure to please you as we approach Valentine’s Day. Don, the main character, likes his life to be orderly and doesn’t like taking risks. He suffers from an unfortunate lack of social skills, but he finds love in Rosie, a wildly different woman who pushes him out of his comfort zone, as he helps her search for her missing father. This book is an inspiring story about Christopher John Francis Boone, a fifteen-year-old boy on the autistic spectrum who has a very particular view of the world around him. Then one day his neighbor’s dog Wellington is killed, and Christopher takes on the role of a detective to figure out what happened. The start of the new semester is a great time for you to go back and read a classic – or if this is your first time reading it, enjoy this treat! Fahrenheit 451 is the dystopian tale of everyone’s worst nightmare – a world without books. Guy Montag is a fireman, and his job is to burn them. Poetic, striking and important, his story will both entertain you and make you reflect about the value of art. Charlie is a mentally disabled man who is being subjected to experimentation in a series of studies to increase his intelligence. The same treatments are being given to Algernon, a lab mouse. When Charlie’s intelligence begins to accelerate beyond what anyone had imagined was possible, everyone is thrilled – until Algernon begins to deteriorate unexpectedly. What will happen to Charlie? This entry was posted in Book Lists, Read This!, Teen Powered and tagged all ages, black humor, book burning, Book Lists, Comedy, Comics, Fahrenheit 451, fantasy, Greenwood, Greenwood TAB, horoscopes, horror, humor, mysteries, non-fiction, science fiction, Tamora Pierce, Teen Book Reviews, written by teens on February 7, 2015 by Teen Blogger. Title: Where’d You Go, Bernadette? Summary: Bernadette Fox, Los Angeles native now Seattle resident, is the wife of Microsoft big-timer Elgin Branch, the mother of gifted Bee Branch, the alien to fellow Seattle moms, and a former award-winning architect. A novel stitched together by Bernadette’s very own daughter, it’s comprised of letters and emails that follow the whirlwind that notorious Fox finds herself swept up into, that even leads her to the ends of the planet. I would rate this book 9/10 stars. This witty, uniquely crafted satire can resonate with not only Seattle natives (who will probably catch on to more of the humor of the story), but with any other reader who may come from a less-than-ordinary family. Comical yet dark, Where’d You Go, Bernadette is a laugh, a cliff-hanger, a “wait, what just happened?” moment kind of story, that’ll keep you hooked until the very end. This entry was posted in Read This!, Teen Powered and tagged black humor, family, fictional memoir, humor, realistic fiction, Seattle, self-realization, Teen Book Reviews, written by teens on January 14, 2015 by Teen Blogger. The Fault in Our Stars: Finished it in two days! This entry was posted in Read This!, Teen Powered and tagged black humor, cancer, John Green, realistic fiction, romance, Teen Book Reviews, written by teens on October 1, 2014 by Teen Blogger. When the summer sun baptizes your day with its rich rays of light, would you rather dwell in the darkness instead? While others are prancing about and enjoying the splendors of nature, do you go for the morbid realities of humanity? As families chuckle over life’s silly little happenings, are you cackling with a sadistic glee as you learn of men’s unfortunately humorous woes? Well then this is the list of materials for you. Ranging from the mildly malicious to the unbearably bleak, these will surely satisfy your cravings for black humor. A TV show directed by and centered on comedian Louis C. K., Louie is an unapologetic blunt program that pushes the envelope far more than your average sitcom. Louie, a single comedian, must support his two daughters on his meager earnings from his stand-up shows while also struggling against an oddball variety of events that will have you giggling with amusement one moment and painfully grimacing the next. Blending segments of his own stand-up work with clips of his original stories, Louie’s painfully real comedy series has been nominated for over a dozen Emmys and many other awards across the board. Like it or not, Louie’s here to stay to keep you both laughing and wildly uncomfortable. As an homage to the gritty noir classics of olden, Powell’s comic, The Goon, hits all the right marks. With his vibrant, yet gloomy artwork, Powell’s comics creates a rich atmosphere of crime and wickedness with every gangster facet one should expect: murder, debauchery, mystery, zombies, trans-dimensional travel, cannibalistic hobos, a telekinetically-gifted seal, killer robots, and a gang of giant fish men. Perhaps it’s a little out of the norm, but that certainly makes it all the more entertaining. Telling the story of legendary enforcer Goon and his partner, Frankie, The Goon follows their zany, mysterious, and excessively violent adventures throughout the creepy, crime-ridden city in which they dwell. The only thing you can ever come to expect is bloodshed and obscenity in all of its humorousness. Don’t be fooled, this book merely dabbles in the topics of diabetes and owls. The rest is a profoundly unsettling, yet undeniably hilarious compilation of Sedaris’s fantastically written essays. Critically-acclaimed for his other popular works including Me Talk Pretty One Day and When You Are Engulfed in Flames, Sedaris continues to lay on his superbly dismal wit he recounts tale after tale of traumatic childhood incidents. 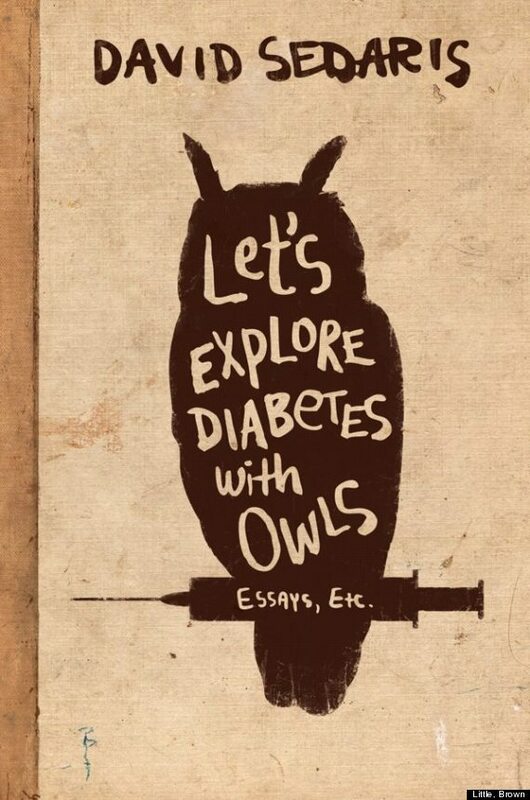 Not for the faint of heart or pure of taste, Let’s Explore Diabetes with Owls is another Sedaris book that’s truly in a league of its own. This entry was posted in Movies, Read This!, Teen Powered, Watch This! and tagged black humor, books to movies, dark, Movies, Teen Book Reviews, written by teens on August 30, 2014 by Teen Blogger. Summary: After Pat Peoples and his wife Nikki separate, he goes to live with his parents but everything seems changed. No one wants to talk to him about Nikki, his old friends are busy with their families, and his new therapist seems to be recommending adultery as therapy. He meets Tiffany, a clinically depressed widow, who offers to act as a liaison between the couple if Pat will give up watching football, agrees to perform in the Dance Away Depression competition and not tell anyone about their contract. Review: The Silver Linings Playbook was an inspirational and important novel that I believe everyone should read. The plot orbits around Pat Peoples, a man who has spent a few years in a mental health facility and was just released by the court. He is now back home and his father and everyone he loves is giving him the cold shoulder. He just wants to see his wife Nikki again and he believes that God will bring them together. While waiting for Nikki, Pat meets Tiffany, a woman who also has a mental disability. Pat and her become friends and run together and share raisin bran. The plot develops into more as a dance competition occurs, Pat and Nikki might get to see each other, and Tiffany makes a big mistake. This was a wonder of a book by a wonder of a writer. This entry was posted in Read This!, Teen Powered and tagged black humor, realistic fiction, written by teens on November 8, 2013 by Teen Blogger.